Spanish-festival-beach-horse-racing & El Rocio plus San Juan too. Distances from *: Jerez airport 25kms. (25mins) Jerez town 18kms. Seville airport/ town 99kms. Puerto de Santa Maria 18k. Chipiona 7k.Arcos 30k. Chiclana 50k(.40)mins. Rota 18k. Malaga 2hrs 15mins. Granada similar. Portugal about 2hrs 30mins.Via Seville & Huelva.& Gibraltar a similar distance. Jerez, Puerto. Sanlucar. : The town of Jerez 18k away has many famous for its equestrian horses also has a grand Prix circuit formula 1 & motor bike championships in April. There is also a zoo and many bodegas. Wich these 3 towns all have. 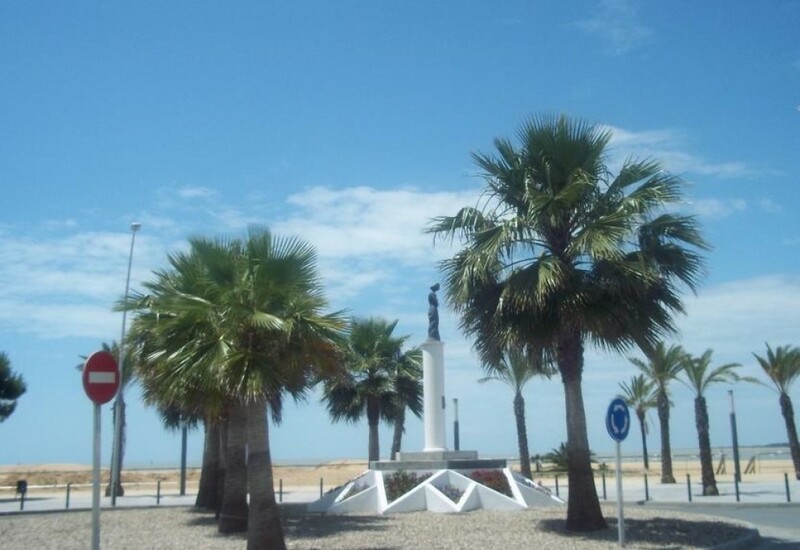 Puerto Santa Maria has the large marina Puerto Sherry & a Water park called Agua Sherry. Golf: Golf in Sanlucar, Costa Ballena(9kms) Puerto Santa Maria ,Novo Sancti Perti. Chiclana etc etc.